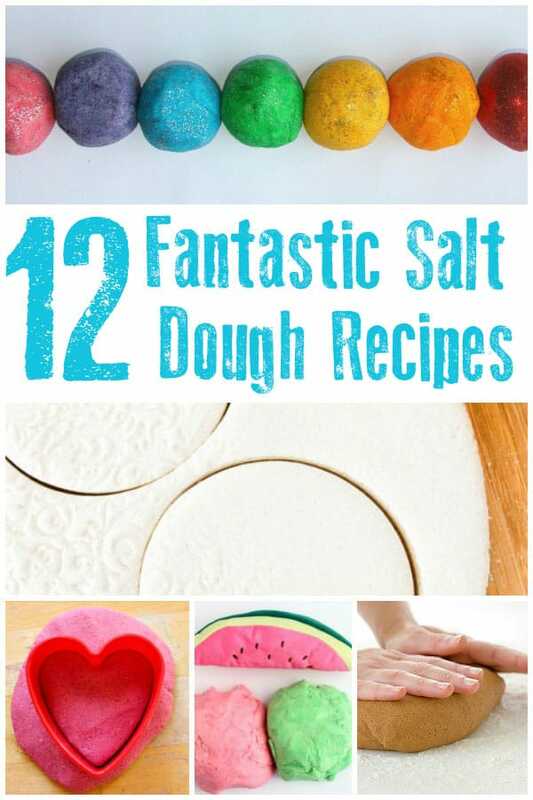 Salt dough is one of my favourite homemade materials to craft with because it is so easy to make and use. 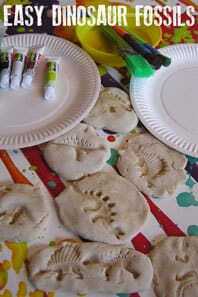 Here on Rainy Day Mum, we have two basic Salt Dough Recipes – a classic Salt Dough that can be dried in the oven or a microwave salt dough recipe that saves you so much time that you can make, dry and decorate salt dough ornaments all in one class or sitting! 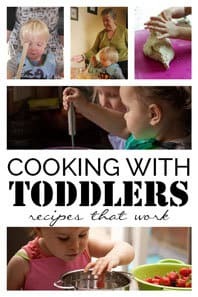 This is especially useful for some crafting with toddlers and preschoolers who don’t have any patience at all. 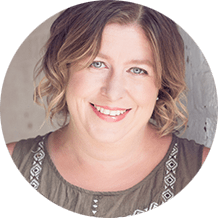 Whenever I share either salt dough recipe I get lots of questions about it so I thought I would put together the most common questions and answer them here for you. 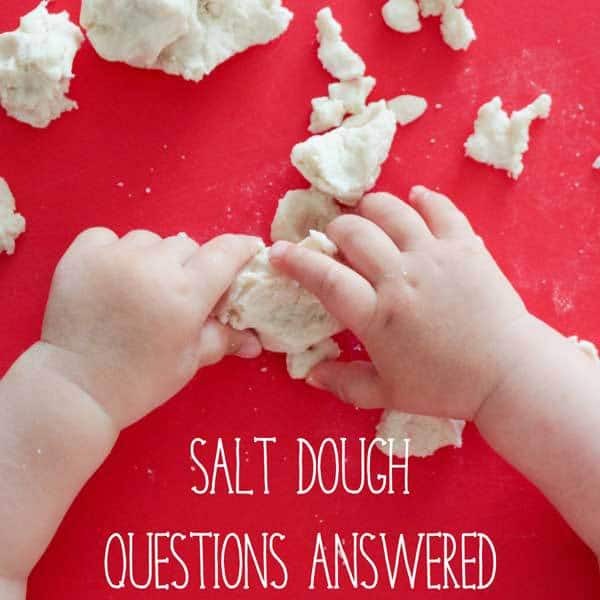 I’ve split this into two parts – these are common questions that apply to all salt dough and I also have a lot of questions about painting and sealing the dough which I will answer in a different post. 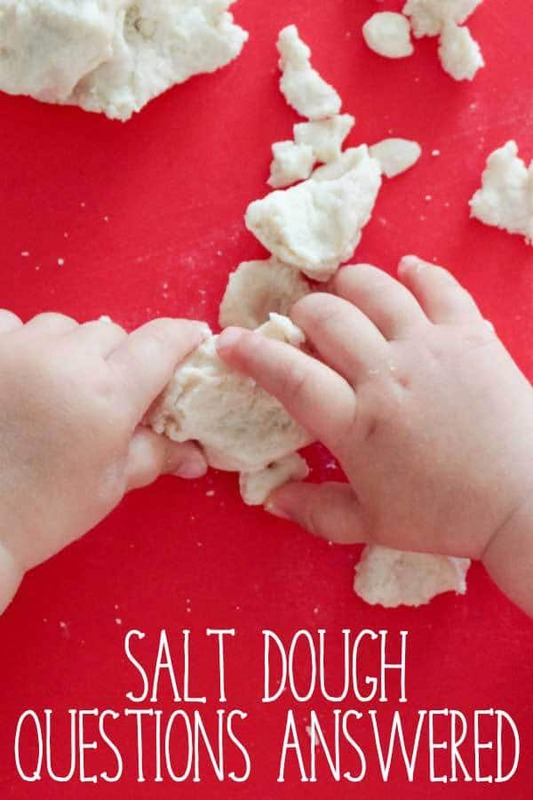 How Do you Make Salt Dough? This is the easiest one to answer – check out either of the recipes below – the microwave recipe or the classic recipe if you don’t have a microwave or have time to wait. 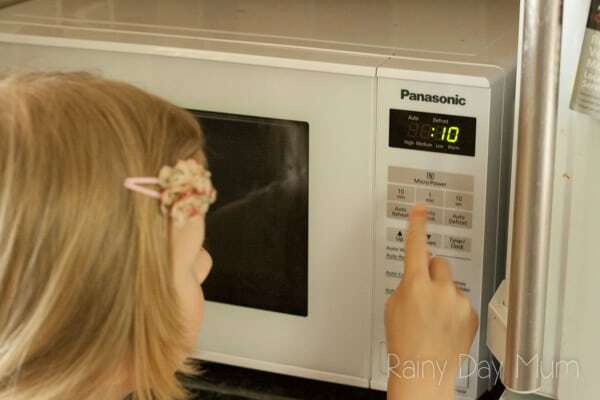 Although the microwave recipe works just as well when all of the instructions are followed because it doesn’t use the microwave if I have the time I like to use the classic method. How Long to Cook Salt Dough? The length of time that you need to cook the dough for will depend on the thickness and size of the object that you are trying to dry. If you have thin ornaments for the tree then in the oven they may only take an hour or two. However, if you are drying something thicker like a sculpture or a candle holder then this will take much longer and it may be better for you to dry using the air drying method. How do you make White Salt Dough? We have an alternative recipe that is pure white and sparkles slightly without the use of glitter. Although you need to make the mix for this Baker’s Clay in the pan it dries in the oven and looks really good especially for snowmen or other ornaments for the tree. It’s also great as it doesn’t use any salt to make it. Although the ingredients don’t taste very good at all! The other way to make white salt dough is to paint the finished decoration white or add white paint to the salt dough recipe in exchange for some of the liquids. What flour do you need? 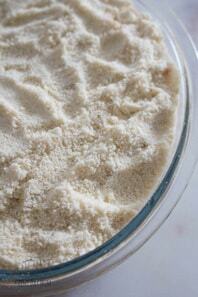 You need a flour with no raising agents in it so plain flour in the UK or all-purpose flour in the USA. We always buy the budget flour for making it up as it doesn’t have to be anything fancy. It’s not advisable to use Self-Raising Flour as this will make it puff up as it dries out in the oven or in the microwave. How do you Store your Finished Ornaments? Finished ornaments are very susceptible to moisture as it’s one of the ways that you can reactive it if it dried out before you have finished a crafting session. So storing in a damp place is not advised. 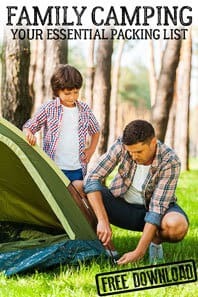 However, if you use a sealable container and add a small bag of silica gel – here’s our affiliate link to the best silica gel we have found to use for storing the Christmas decorations our kids have made over the years., rice or even a marshmallow the moisture will be absorbed by these and will prevent your salt dough going moist and mouldy. Why does my Salt Dough Puff Up and How to Stop it Puffing Up! There are two reasons why it will puff up. If the oven is at a too hot a temperature – you need to make sure it is as low as possible. 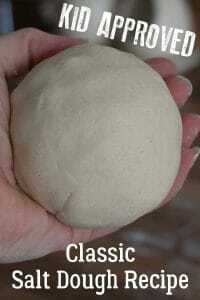 My home ovens lowest temperature is 75C which is perfect for slow drying of the salt dough. 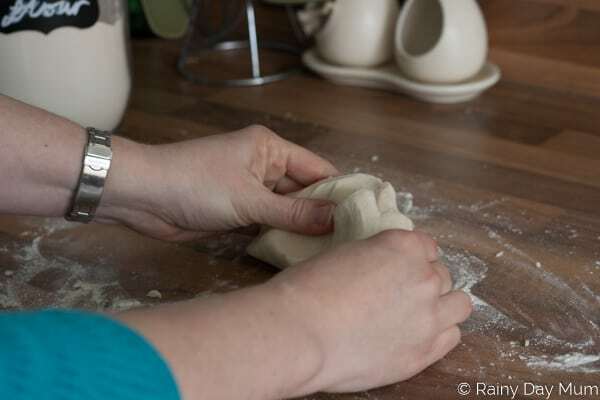 If you find that your oven has the lowest temperature of above 150C then I would advise you to air dry your salt dough creations which will take considerably longer but will prevent the puffing up. 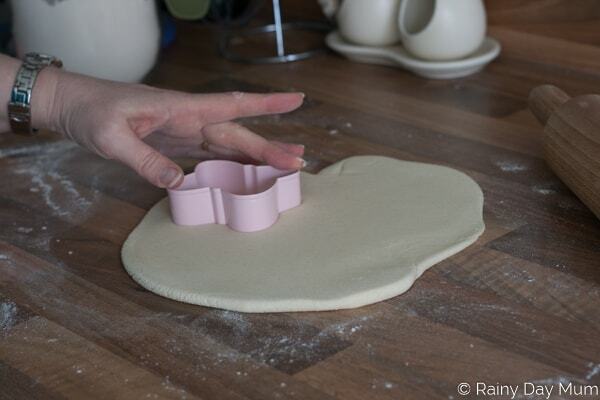 It may also puff up if you have used self-raising flour instead of plain or all-purpose flour. Absolutely, in fact, it is the best way to make sure that you have no puffiness and avoid any oven accidents. 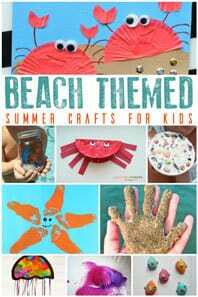 If you are using the salt dough with a group that meets weekly then create your ornaments one week and leave in a warm dry place and then decorate the following week. Depending on the room temperature, humidity and thickness it may take from overnight to a week to dry out fully. How can I tell that my Salt Dough is fully dry? When dry has a consistent colour, if it looks “greasy” or when you touch it, it can be pressed it needs further drying. For sculptures that are thick the outside will dry first and as long as you don’t “seal” it fully the moisture in the centre will continue to evaporate and dry out even more. Can you make Salt Dough ahead of time? You can but it will start to dry out but you could mix the correct quantities of salt and flour ready to add the water as the mixing takes very little time to do at all. Why is the Salt Dough Bubbling in the Microwave! This is because you are heating the dough too quickly – make sure that you follow the instructions on the microwave recipe exactly to avoid bubbling or burning. NO NO NO NO NO – okay just a few more – NO NO NO NO NO. If you have pets please make sure that the area where you are creating is fully cleaned as the quantity of salt in the dough is dangerous to them as well as to you. 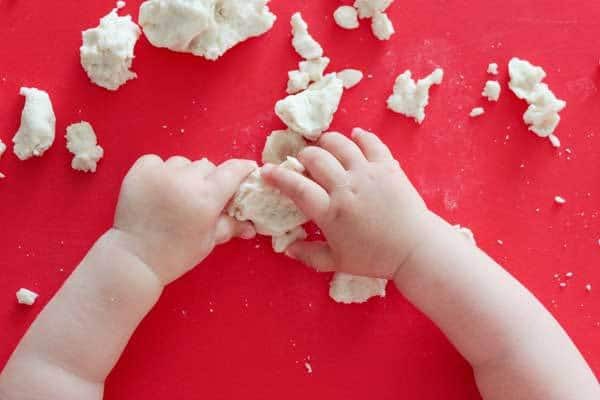 But our Easy Bread Dough is ideal to create with – leave out the yeast and although it doesn’t taste great it will make shapes and is great for kneading. 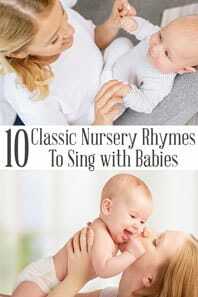 It can last an incredibly long time – if stored properly. The best way to store it is outlined above however, you can also keep it out as long as it doesn’t get damp. If we do this in the oven will it work??? Hi, Yes they work fantastically in the oven just keep and eye on them.